Finger monkeys ( Cebuella pygmaea) are also called “pocket monkeys” and “pygmy marmosets,” and are classified in the genera Callithrix which contains 18 species. This monkey species is one of the few allowed, in some states, to live as a domesticated pet. These monkeys live in Colombia, Bolivia, Peru, Ecuador and Brazil. A finger monkey can cost from $1,500 up to $4,000. The finger monkey is the smallest monkey in the world. Most of them have around 14 to 16 centimeters (5.5 to 6.3 inches) and the tail reaches its body size meaning, approximately, another 15 to 20 centimeters (5.9 to 7.9 inches). They weigh from 100 to 200 grams, the female can weight around 120 grams and the male around 140 grams. Their gray with yellow and green streaks fur give them a grizzly look, perfect for camouflage. They have long hair around the ears. They belong to the primates relatively primitive with small brain and claws. Their body temperature has significant variations throughout the day, around 4° C.
Depending on the store and area, a finger monkey can cost from $1,500 up to $4,000. You also need a cage for your finger monkey that depending on the construction, complexity and size, might cost you from $150 to $400. The pocket monkeys’ food will cost you around $35 – $75 per month, which we say it’s reasonable enough. If you buy it from another state and not from a local store you might take into consideration the shipment fees, which may vary from $100 to $300. They are very active, live in the tall trees and jump a lot. They are diurnal animals and very territorial, marking their teritory with the odors produced by the glands on the head and tummy. At night, they sleep in hollows or on leave beds near a food source. They feed with insects, fruits and leaves and even with core branches, due to their long incisors. Pygmy marmosets use their vocal cords to signal danger, to call or attract attention. Sounds can be short for the nearby group members or longer for those that are farther. They don’t live in large groups, they gather up to 12 members, no more. They love to socialize and spend much of their time with the others. They can be very aggressive if they feel the need. They can fight till the last breath if they need to defend themselves or to defend those who are part of the group. The finger monkey’s behavior is still under research. They live in groups of 3 to 12 individuals. In general, there is a couple of adults and their progenies. They are both monogamous and polygamous. Babies are raised and protected by all the group members. The birth of twin is very common. Gestation lasts 4 or 5 months. They reach sexual maturity at the age of 1 year and a half. They communicate using shouts and gestures. Their unfriendliness shout is not perceived by the human ear. Their only enemies are the birds of prey. The average lifespan of a finger monkey is 11 years in the wild and 20 in captivity. Finger monkeys are considered the most wanted exotic pets, but, unfortunately, they adapt quite hard around man, and most of them suffer depression once they are moved from their environment or group. In some cases the depression can be fatal. Should the average working Joe get a finger monkey? The finger monkey is an expensive pet to buy and own. This means that before you buy it, you should be sure that you have the necessary funds to get it and then raise it, without endangering your monthly budget. If you plan to get such a pet, remember that they are wild animals, so only buy one from a pet shop, to make sure that it has been vaccinated and it isn’t aggressive to humans, especially children. https://www.thepricer.org/wp-content/uploads/2016/01/finger-monkey-cost.jpg 380 610 qSign http://www.thepricer.org/wp-content/uploads/2016/11/pricerlogonew.png qSign2016-01-28 02:37:032016-01-28 02:37:03How Much Does a Finger Monkey Cost? WOW! 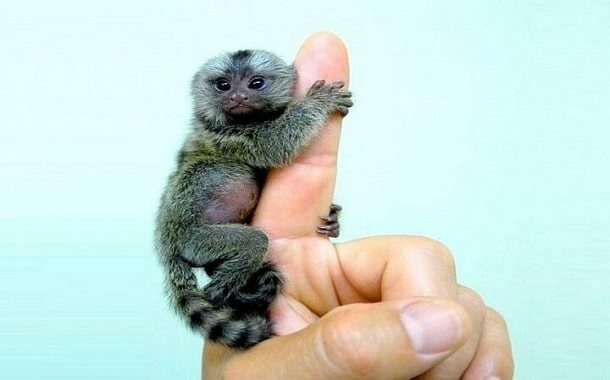 This finger monkey really exists? It’s so cute I want one! I really hope they are nice pets. Who would want a dog when you can have this cutey? It’s pretty expensive at that cost but I can see why. You don’t see one of these too often. I bought one for my gf for roughly $1,200 from a friend, but I`ve seen some sell for over $6,000. I hope this helps other people that think about buying a finger monkey. Although this finger monkey is pretty expensive, I really like owning one! They are great as pets, really easy to take care of and really fun to play with. I strongly encourage everyone that wants one to get it. Great article and really on point. How Much Do Loving Cats Cost? How Much Are The New Plug-in Hybrids From BMW?